There’s a reason we put the word “total” in the name Total Chiropractic Care and Wellness. We’re not just about chiropractic manipulation. That’s obviously a large part of our practice, but we’re also committed to helping our patients achieve optimum health. That means we’ll work with patients to avoid harmful surgery or potentially addictive prescription drugs. We’ll help design exercise programs for our patients and we also give you lifestyle advice. A big part of that is diet and nutrition. What you eat can help reduce pain you may be experiencing, keep you feeling healthier and allow you to be more active. So Total Chiropractic wants you to know how diet helps your pain. At Total Chiropractic Care and Wellness, we want to ease your pain. Our practice focuses on pain relief and pain prevention. We offer a variety of services from chiropractic care and techniques to other methods of pain relief such as spinal decompression. We design individual treatment plans for all of our patients, and we’ll tell you about non-invasive alternatives to back surgery. But we’ll also be honest with you. If you do need surgery, we’ll be up front and tell you that. So, we want to tell you about diet and pain management. Total Chiropractic is not alone in stressing diet as part of our practice. According to the American Chiropractic Association (ACA) publication ACA Today, it’s actually quite common. A 2007 study of chiropractic practitioners in New York shows that 80 percent of practices incorporate some sort of nutritional counseling into their work. 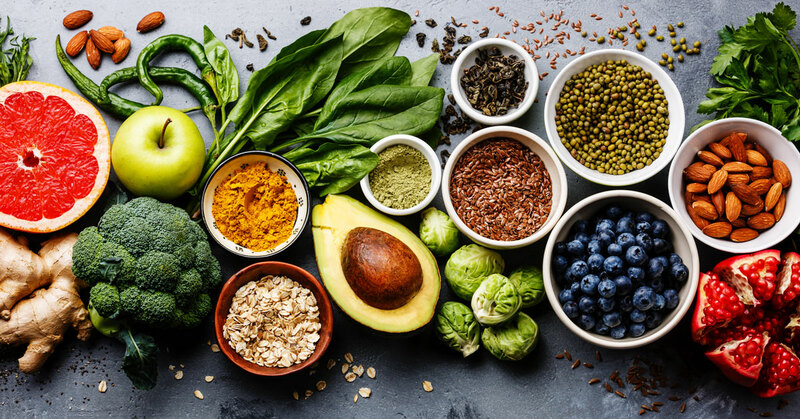 Furthermore, the National Board of Chiropractic Examiners’ (NBCE) Practice Analysis of Chiropractic in 2015 showed that 97 percent of chiropractic doctors gave out diet and nutrition advice. Eating well and staying active allow you to reduce back and neck pain and impact chronic health problems in many other ways, such as helping to prevent cancer and heart disease. ACA recommends eating more raw foods such as fruits and vegetables which have more natural vitamins and minerals. But that doesn’t mean that you should ignore eating grains and legumes. You should try to select organically grown foods because they have lower amounts of toxins like pesticides. You should also consume 25 to 35 grams of fiber a day and you should also make certain that you stay well hydrated throughout the day. This can be accomplished by eating fruit and vegetables in addition to drinking water. But you should also be careful not to consume too much sugar. Make certain that you maintain the right levels of vitamin B12 and vitamin D. Eat foods or take supplements to maintain these levels. When you come to Total Chiropractic, we’ll give you a physical examination and ask you about your symptoms and individual case. We’ll talk to you about your diet and exercise habits and we’ll design a treatment and pain management plan that’s right for you. To learn more, contact us today.